Meet Madison Pettis who stars in Nickelodeon’s Life with Boys In Houston March 3, 2013. If you buy Love Pastry from 2/16 till that day from Shoe Carnival and keep your receipt, you will get To be first in line. Madison was in Game Plan, LABRATS and many other movies. She’s a talented actress and model! I hope I helped some if you meet her! Follow me on Twitter @alexirob I let you know when and where celebs are meeting fans! Tix are $18 for adults and $4.99 for kids 6-12 kids under 5 are free. She will be meeting fans from 12-3 and then from 6-8. 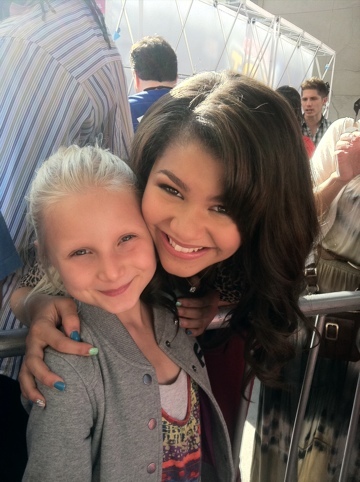 Hope this helps some of meet Rocky from Shake it Up !